Unless you've been living under a rock, you've heard by now about Reliance Jio and want to know if getting on the network is worth it. Reliance is giving away free SIM cards to everyone with unlimited free usage of the network until December 31, and unlimited use of Jio's different services, which include news, music, and video on demand. 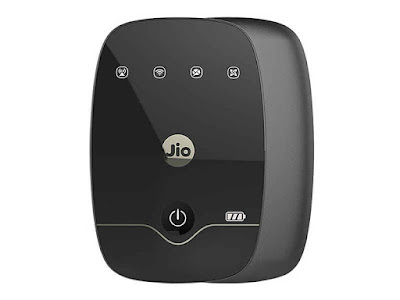 However, your phone may not be compatible with the network and one device that could help bring your whole house online is the Reliance Jio JioFi. Given how cheap calling is in India, the reason most people are interested in Jio right now is to access free, fast, and unlimited data. As of now, mobile data in India is still pretty expensive - for example, a 1GB pack in Karnataka from Vodafone will set you back by Rs. 265. Reliance Jio has changed all that with data as low as Rs. 25 per GB. As we write this before everyone gets access to the Reliance Jio network from Monday, the speeds are great and there are no FUPs. Consuming 10GB of mobile data on another network would be inconceivable, but many people are consuming that much in a single day with Jio, and that's likely to continue at least during the preview offer. Many people are just getting a Jio SIM and then switching on the Wi-Fi hotspot on their phones. The problem with this is that it drains the phone's battery, and thus limits the usefulness. That's where the JioFi comes into the picture. The JioFi is a personal hotspot - the kind of thing you've seen some all mobile carriers. The Reliance JioFi is a small device that will fit into your pocket, and acts as a bridge between the 4G network and a local Wi-Fi network that it creates, which your phone, laptop, and other devices can connect to. It's a very simple way of getting your home online, and it comes with a rechargable battery - that means that you can plug it in at home, or put it in your pocket and take your connection with you when you head out. Interestingly, you can use the Jio Join app on your phone to place calls or send messages through the JioFi. This means that even if your phone does not support 4G, you can make full use of Reliance Jio's network thanks to the JioFi. The Reliance JioFi comes with a Reliance Jio SIM that, once activated, can be used to connect to the network. You can of course use SIM cards of other operators in the JioFi if needed, though obviously you will need to pay for usage on that network. How to buy a Reliance JioFi? Just walk into the nearest Reliance Digital/ Reliance Digital Xpress Mini store and purchase a JioFi. You'll need to carry a passport photo, one photo ID, and an address proof. Once you fill out the forms the number will be activated, and you'll have to call 180089011977 for televerification - the exact steps are given on the package and it's pretty straightforward. The store executives say that the process should happen within four hours, though in our experience with getting two Reliance Jio connections activated, it took more than a day each time. The JioFi is priced at Rs. 1,999, down from its earlier price of Rs. 2,899 and data is free to use until December 31. As of now, the company has made no statement about what the plans will be post that date, though they are likely to be similar, if not better, than what's being offered to other Jio SIM card holders. That's all you need to know in order to get a Reliance Jio JioFi. Check out our detailed review of the JioFi device.